The most looked-at building in the world is getting a makeover. 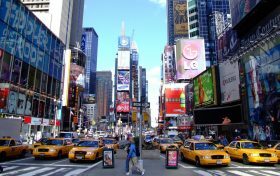 According to Crain’s, Jamestown will redevelop One Times Square, the 23-story building that garners the attention of millions for its famed ball drop every New Year’s Eve. The owner plans on installing 32,00 square feet of new signage, including a 350-foot-tall digital sign. To cash even further on its prime location, Jamestown may construct an observatory for NYE revelers to be at the heart of ball-drop festivities. 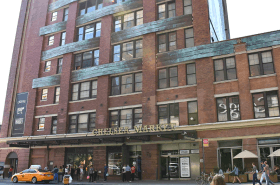 Editor’s Note: The New York Post reports Google will buy Chelsea Market for $2.5 billion, which would make it the second biggest single sale in the city’s history. It closely follows the $2.8 billion purchase of the GM Building in 2007. 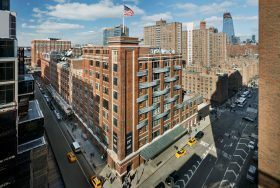 Google has entered contract with Jamestown LP to buy the Chelsea Market building for over $2 billion. 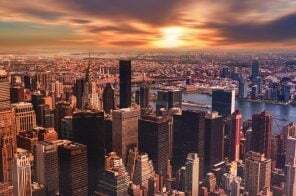 As 2018’s first billion dollars plus transaction in New York, the deal is expected to close sometime in the next two months, according to the Real Deal. This will further the tech giant’s presence in the Manhattan neighborhood; it is currently the biggest tenant at 75 Ninth Avenue and its headquarters are located across the street at 111 Eighth Avenue. 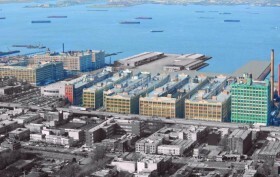 Industry City is a six million-square-foot, 30-acre industrial complex on the Sunset Park waterfront. Its 16 buildings made up the former Bush Terminal, a manufacturing, warehousing and distribution center that opened in 1895. After falling into disrepair over the past few decades, in 2013, a new ownership team led by Belvedere Capital and Jamestown began their $1 billion undertaking to update the complex while cultivating a diverse tenant mix that fuses today’s burgeoning innovation economy with traditional manufacturing and artisanal craft. 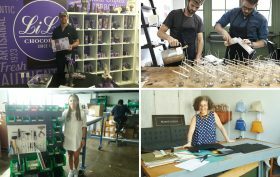 Today, there are more than 4,500 people and 400 companies working in Industry City, and 6sqft recently paid a visit to four of them (a handbag designer, lighting designer, candle company, and chocolatier) to learn why the complex makes sense for their business and what unique opportunities it’s afforded them. 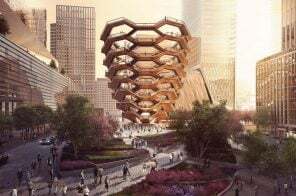 We also spoke with Industry City CEO Andrew Kimball about the unprecedented success of the complex and his visions for the future, as well as took a tour of the buildings and their wildly popular public amenity spaces such as the food hall, outdoor courtyards, and tenant lounge. Back in March, 6sqft got a first look at renderings for Jamestown Properties‘ 240,000-square-foot addition to Chelsea Market. 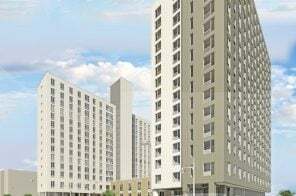 Known as BLDG 18, the nine-story topper designed by Studios Architecture will sit atop the westernmost building of the complex. 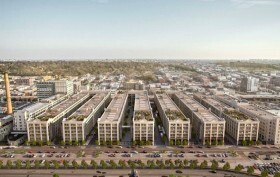 In addition, the developer plans to spend $35 to $50 million doubling the size of the retail space. Though there’s no new images to accompany the news, Crain’s explains that the additional 80,000 square feet of retail will go in the building’s now mostly unused lower level. Here, among other renovations, Jamestown will convert a boiler room into a restaurant and add a central corridor similar to the existing one on the ground level. Annual office rents in the West Chelsea/Meatpacking District area have been topping $90 per square foot with many creative and technology tenants searching for boutique-sized spaces. So it seems like the perfect time for Jamestown Properties to move forward with their piggybacking plan for Chelsea Market. Branding and visualization firm Neoscape put together a cheery film to market the upcoming building’s new 240,000 square feet of office space. To be known as BLDG 18, the structure is being designed by Studios Architecture and will rise nine stories atop the westernmost building of the Chelsea Market complex and the High Line. The film shows a private 16th Street entrance for tenants, 40,000-square-foot floor plates, 40-foot-wide column bays, multiple levels of landscaped terraces providing a total of 21,000 square feet of outdoor space, panoramic views, easy access to the High Line, and of course, the block-long Chelsea Market food concourse at ground level. For the past year or so we’ve heard plenty of chirpings about Industry City, the former Bush Terminal on the Sunset Park waterfront that Jamestown Properties plans to transform into “a dynamic 21st century innovation and manufacturing community that balances existing manufacturing tenants with those centered on creative and innovation economy fields.” But now, Jamestown, along with fellow owners Belvedere Capital, and Angelo Gordon, have announced that the overhaul of the 32-acre complex’s 16 buildings will cost $1 billion and include a hotel, along with a huge amount of retail and tech start-up space. They also want an additional $115 million in infrastructure improvements like a massive new parking lot, as well as some rezoning concessions. 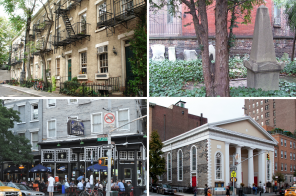 If you renovate, will they come? 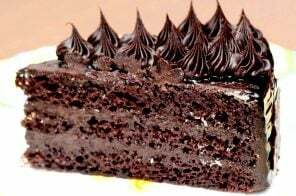 It’s been less than a year since Jamestown Properties, the developer behind the successful Chelsea Market, acquired a 50% stake in the mostly abandoned industrial warehouse complex in Brooklyn’s Sunset Park known as Industry City. Along with investment partners Belvedere Capital and Angelo, Gordon & Company, Jamestown plans to translate the success of Chelsea Market on a scale six times the size – 16 buildings encompassing over 6 million square feet formerly known as Bush Terminal. 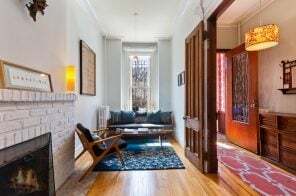 But while Brooklyn is currently the darling of the five boroughs, Sunset Park doesn’t quite have the cache of Chelsea – yet, and the viability of such an enormous undertaking is ten years in the making.